TAP was authorized by the Agricultural Act of 2014 as a permanent disaster program. TAP provides financial assistance to qualifying orchardists and nursery tree growers to replant or rehabilitate eligible trees, bushes and vines damaged by natural disasters. Eligible tree types include trees, bushes or vines that produce an annual crop for commercial purposes. Nursery trees include ornamental, fruit, nut and Christmas trees that are produced for commercial sale. Trees used for pulp or timber are ineligible. To qualify for TAP, orchardists must suffer a qualifying tree, bush or vine loss in excess of 15 percent mortality from an eligible natural disaster. The eligible trees, bushes or vines must have been owned when the natural disaster occurred; however, eligible growers are not required to own the land on which the eligible trees, bushes and vines were planted. If the TAP application is approved, the eligible trees, bushes and vines must be replaced within 12 months from the date the application is approved. The cumulative total quantity of acres planted to trees, bushes or vines, for which a producer can receive TAP payments, cannot exceed 500 acres annually. Interested growers should contact the FSA Office that serves their farming operation. Questions regarding eligible trees, vines and bushes should be directed to the FSA Offices. See the UMass Fruit Advisor website for more information. The Baker-Polito Administration has announced the launch of the Massachusetts Drought Emergency Loan Fund, which has the capacity to provide up to $1 million in micro-loans to family farms and other small businesses affected by widespread drought conditions in Massachusetts. 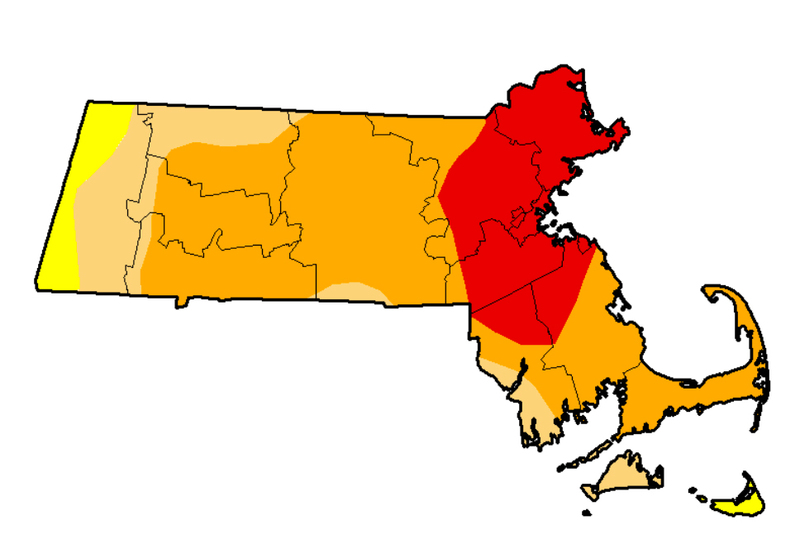 The Drought Emergency Loan Fund is part of the Baker-Polito Administration's coordinated response to five consecutive months of abnormally dry weather across the Commonwealth. “This affordable, flexible loan program will help agricultural businesses regain financial stability and recover quickly from lost revenue due to the drought,” said Assistant Secretary of Business Development Nam Pham. For more information about the loan fund, and to access an online application, visit www.massgcc.com.